Whether you love it or you hate it, the fall season is among us. That means that winter is right around the corner. If this upcoming winter is anything like the winter we had last season, then you should call a plumbing company to inquire about any needed heating services. Whether it is basic maintenance, a complicated repair, or just a check-up, a reliable plumbing company will be able to keep you warm during the cold winter months. Heating services include a variety of parts that are used to keep you warm during the cold months. Some of these parts are the boiler, the furnace, and radiators. A boiler heats water to create steam, which is used to heat buildings through steam radiators. A furnace heats air, which is distributed throughout the building through air ducts. These parts require maintenance to maintain performance. Heating services from a plumbing company can help keep the heat on this winter. The most common of heating services includes basic maintenance. It is a good idea to ensure that heating components are thoroughly cleaned before being stressed during the colder months. Keeping up with maintenance can also prolong the life of your heating components. Basic heating services for maintenance from a plumbing company should be a comfortable expense, as it is less than needing to prematurely replace a boiler unit or furnace. It’s called maintenance for a reason! In the heating system, parts usually break during the coldest days of the winter. This can leave your residence or business without proper heating. Many of these large repairs can be avoided by simple check-ups and cleanings. However, if something breaks, then it needs to be fixed as soon as possible properly the first time. A trustworthy and reliable plumbing and heating services company is your best friend in this situation. Heating services, such as a yearly check-up, should be performed prior to the colder months arriving. Even if everything appears to be in order for the winter, it can’t hurt to have a plumber come in to perform a simple check-up. The heating system may appear to be functioning properly, but it is always a good idea to make sure before winter begins. There are many components involved in the heating system that can corrode or go bad. It is always better to be safe than to be sorry. Keep up with the maintenance of your heating units. 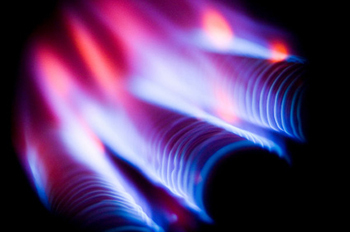 Heating services are offered by plumbing companies for all of your heating needs. A basic check-up and can go a long way by saving you on future diagnostic fees by finding potential problems before they can worsen. Call a trustworthy and reliable plumbing company to provide the best heating services for your residence or business.